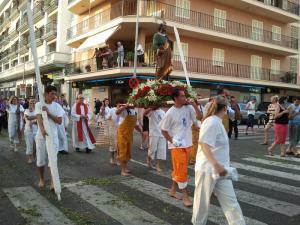 End of june there's a procession both on land and sea with the statue of the saint. 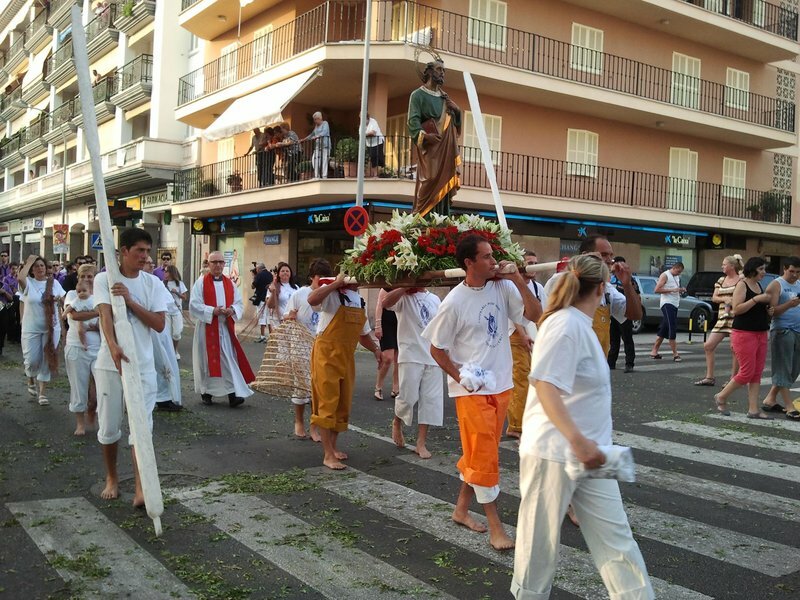 The parade starts at the Església de la Mare de Déu del Carme i Sant Pere carrying along the statue through the streets of Port d'Alcúdia. The most touching moment is when the statue is put on board and sails round the Bay followed by hundreds of decorated boats. A great firework puts an end to these marvellous celebrations.